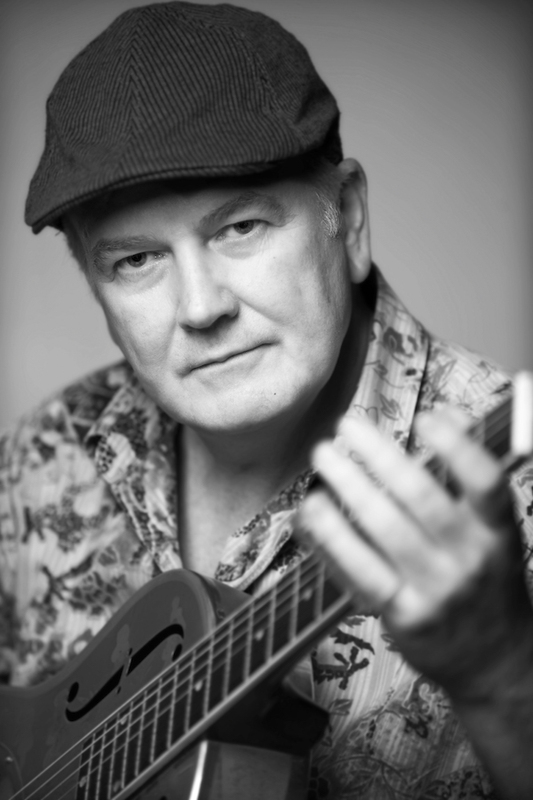 Born in Ennis, County Clare, along Ireland’s music-rich west coast, Gerry O’Beirne is a renowned singer, songwriter and guitarist (6 and 12 string guitar, tiple, and ukulele, slide guitar among others). He grew up in Ireland and in Ghana in West Africa, and has since lived in England, California, and Mexico. He lives now near Dingle in Co Kerry. His own compositions blend the passion found in traditional music with the freshness of contemporary song. Gerry’s first solo album, Half Moon Bay, featured his own songs and instrumental compositions. Half Moon Bay was cited as one of the 12 best releases of the year by Performing Songwriter magazine and was chosen as one of Folkworld’s Top Ten Albums of the year. His second album The Bog Bodies And Other Stories: Music For Guitar, was named CD of the Month on the radio show Echoes, and one of the essential albums of the year on the same show and was featured on the Irish TV show Nationwide. His latest album “Yesterday I Saw The Earth Beautiful” with fiddler Rosie Shipley was described as “"an extraordinary album with innovative arrangements and hauntingly beautiful songs." by Folkworld. As a producer, he has a large number of albums to his credit, including Promenade by Kevin Burke and Michael O’Dhomhnaill (winner of the Grand Prix Du Disque at Montreux), Irish Times by Patrick Street, Man in the Moon and Donegal Rain by Andy M. Stewart, First Foooting by Anam, The Connaughtman’s Rambles by Martin O’Conner, Up Close by Kevin Burke, Lifting the Veil and Sacred Space by Fiona Joyce, To Anyone At All by Clandestine, Fine Small Storm by Jen Hamel, The Willow by E. J. Jones, Silver Hook Tango by Australian singer-songwriter Kavisha Mazella, When Two Lovers Meet and I won’t go home ‘til morning by Sarah McQuaid and Lumina by Irish piper, low whistle player, and composer Eoin Duignan, which was hailed “a stunning achievement” by Hot Press, Ireland’s foremost music magazine. Gerry has toured in Europe, Australia, New Zealand and the USA, performed solo at the Kennedy Center in Washington DC, and has taught musical composition from visual art at Swananoa Music Camp. He recently played on the new Lunasa and Muireann Nic Amhlaoibh albums and his latest album with fiddler Rosie Shipley has featured in the US Folk DJ Radio Chart. He has been writing a new series of songs based in life in the Dingle Peninsula and this song collection was featured in a concert during 2014’s Féile na Bealtaine arts festival in Dingle. His songs will be celebrated in a special concert at Sligo’s Fleadh Cheoil in August 2015.